Looking for an easy snack to whip up after a long day of enjoying the Blue Ridge area? Look no further! 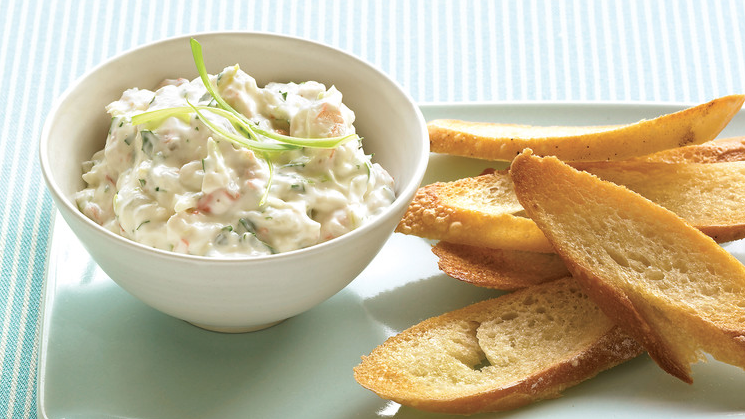 This creamy dip, coupled with a cold beverage and some chips, is the perfect treat for your mountain vacation. 2. Combine the cream cheese (softened) and other ingredients. 3. Chop the shrimp and add to the mixture. 4. Add garlic powder and mix together. 5. Serve with chips or bruschetta. Enjoy!